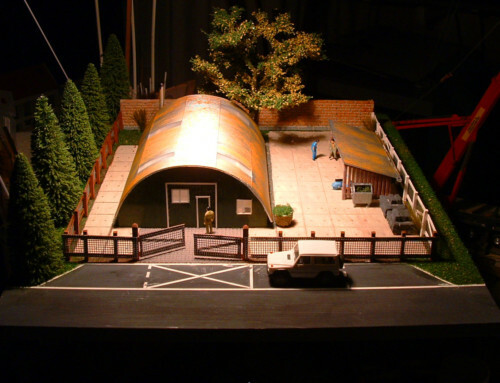 The MAQUETT range of plastic sheet and section is a real boon for modellers. 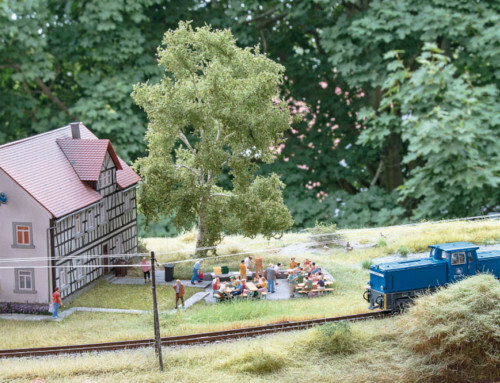 especially those wanting to dabble in a little scratchbuilding. 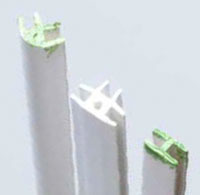 As well as the usual array of styrene strips and rods – in a wealth of dimensions- MAQUETT also offer some innovative corner and straight connector profiles. These profiles feature rebates in various faces. allowing fiat section material to be slotted within. 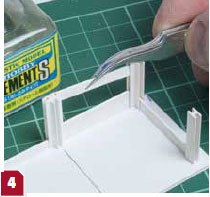 Perfect for forming uprights on modular buildings, they really speed up the assembly process. creating rigid structures in the process. Indeed. they offer countless building possibilities and. with a wide range of sizes available. 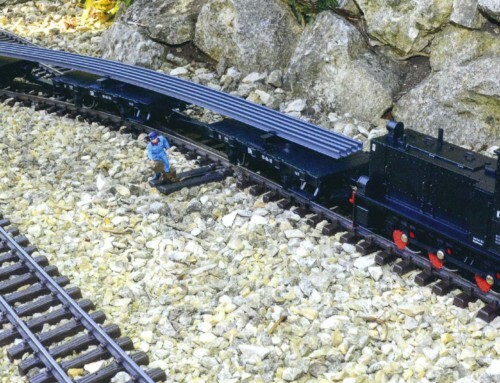 the MAQUETT range is suitable for modellers in any scale. In order to test the system. I decided to build something fairly simple. Inspired by an image in the latest MAQUETT catalogue. 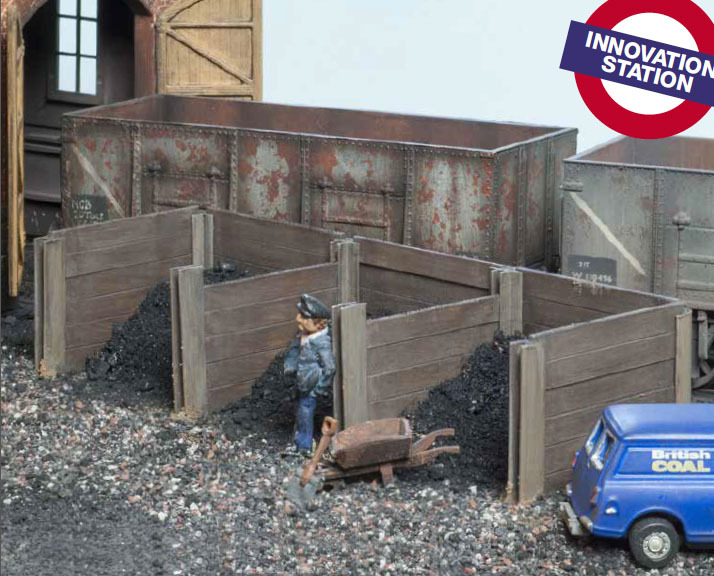 I opted for a modest three-berth coal bunker that’s destined for a corner of my colliery-themed layout For the uprights. I employing a range of ‘I-r. T and curved ’12 section connectors (each with 1.5mm wide rebates). while 4mm x 1mm flat plastic strip formed the individual. horizontal planks. Erected onto a sheet of 1mm thick styrene sheet the upright connectors and strip planks went together quickly and easily. 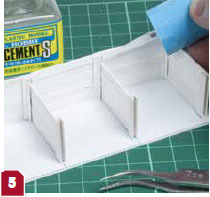 Mr Hobby’s Mr Cement 5 liquid poly cement provided neat secure bonds and the whole thing was built in less than an hour. imperfect alignment This was especially noticeable after painting and weathering. producing a pleasing overall effect. As for the overall dimensions. the uprights were rendered a scale 6ft tall and the planks Oft long. 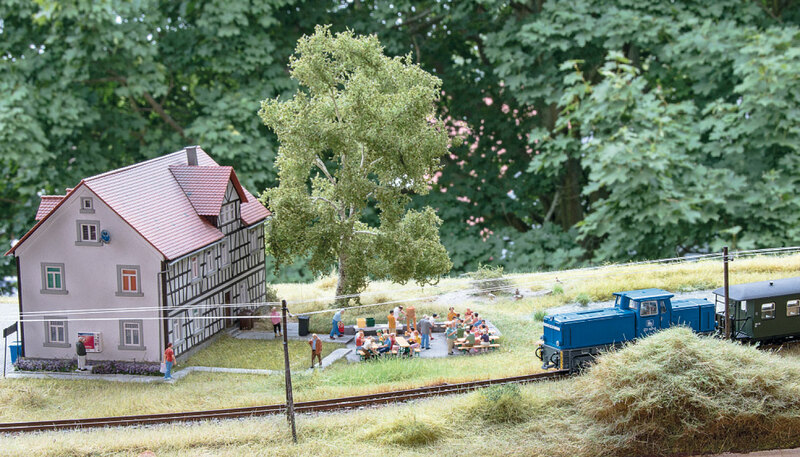 which is the standard length for timber sleepers – a typical source of planking for such structures. Perhaps I should’ve drilled holes where rail chairs were once sited. confirming the apparent use of recycled materials! After priming. painting and weathering. piles of real coal dust were positioned and soaked with Ballast Bond from Deluxe Materials. When fully cured. 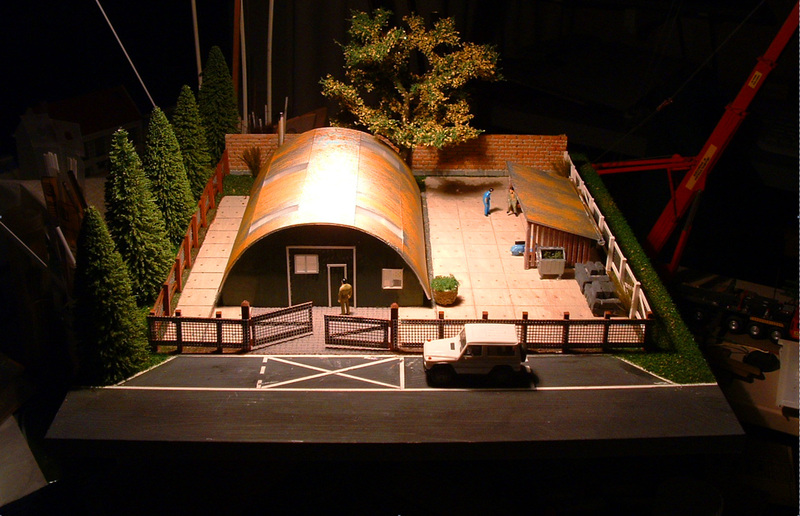 the bunker was set into Maudetown Colliery’s steam shed scene. where it looks very much at home. 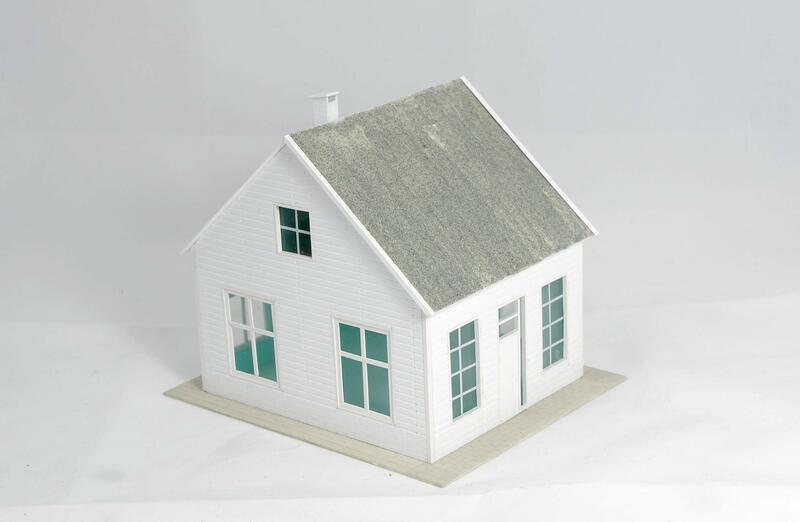 Offering great value and modeller-friendly properties, the MAQUETT range is highly recommended – look out for it in your local model shop. MAQUETT T and ‘H’ section connector polMes are wadable In 330mrn or Ira letwths. First job is to give the flat plastic strip a textured. grainy feel on the outer faces, to help mimic real timber. 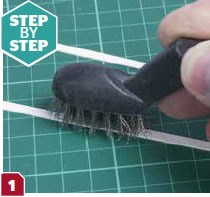 A mini steel wire brush is effective. 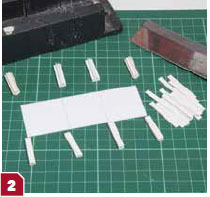 run along the length of both sides of each strip before cutting. A mini mitre box and razor saw was used to cut the various upright sections and planks to consistent lengths. 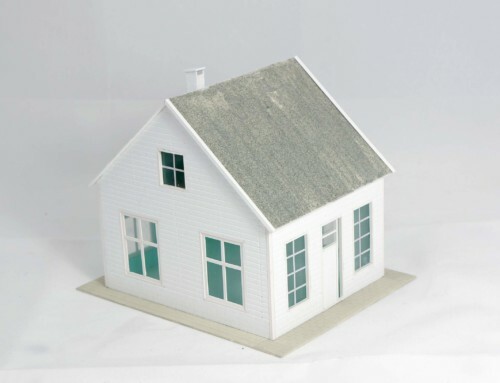 A sheet of 1 mm thick plastic sheet forms the base. Tidy up the cut edges with flat needle files. Begin by fixing one corner upright then add a plank to act as a spacer. helping to position the following upright. Use a strong liquid poly formula. 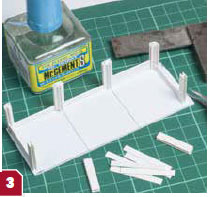 such as Mr Hobby’s Mr Cement S. Check the corners with a setsquare. Once the main frame is secured. the rest of the planks can be slotted into the uprights and secured with glue. Assembly is rapid and the slotted nature of the components produces a very sturdy structure.